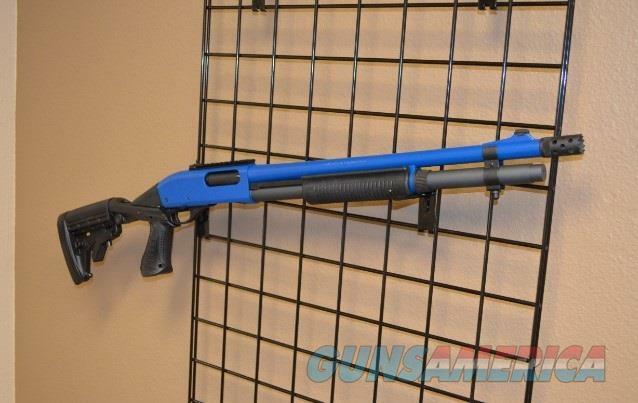 Description: New in box Remington 870 Express Tactical 12g with X-Werks Blue and Sniper Gray finish and a Spec ops II collapsible stock! Features a 18.5" barrel with tactical choke & brake, Ghost ring style sights, tactical rail on receiver, X-Werks Sniper Gray finish, 2 round extension, and takes 2.75 & 3" 12g shotgun rounds!! hop online at X-Werks.com and follow X-Werks on Facebook for Updates and specials! !